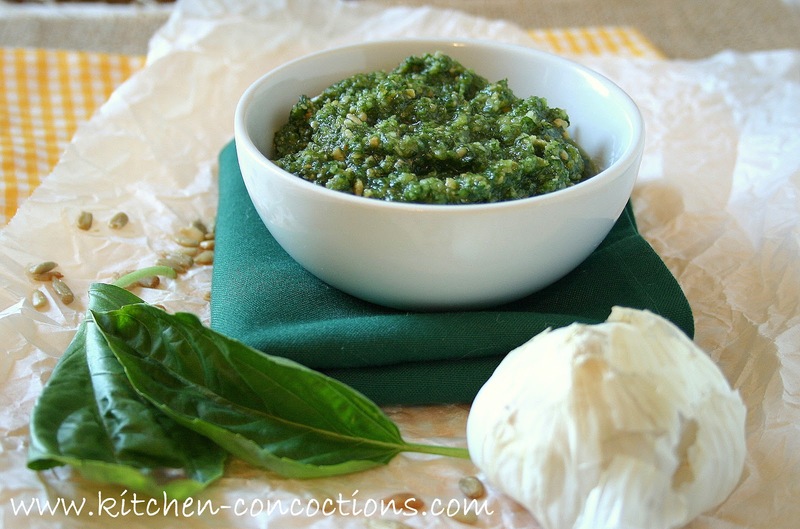 When I was going on my pesto craze recently, I realized while I had previously posted my go to classic pesto recipe on another blog post, it needed to be shared again. More specifically in a blog post all in it’s own. 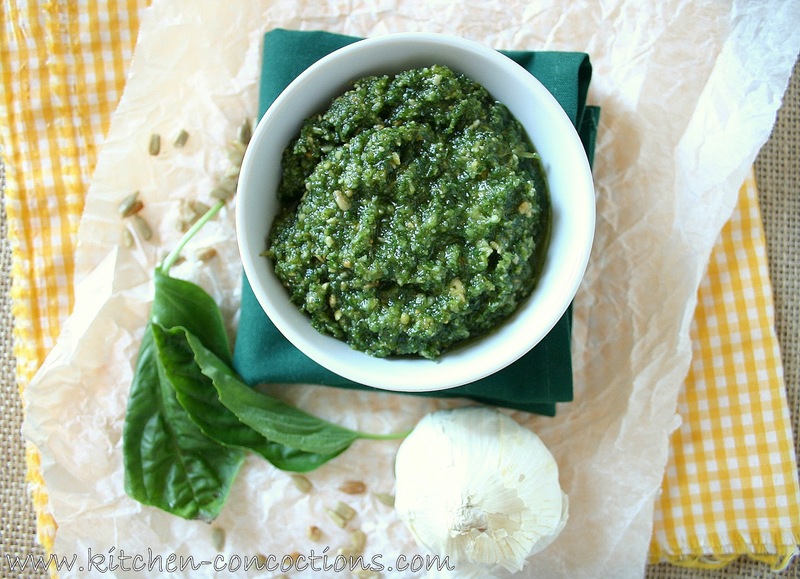 Good for all your pesto loving needs! And while I shared some crucial pesto tips yesterday, here are a few more. Pine nuts can be very expensive and hard to find. I find that buying them in bulk at a store like Sam’s Club or Costco has the best price. But honestly I usually always substitute shelled sunflower seeds for the pine nuts. Same great flavor and texture but sunflower seeds are way easier to find, plus cheaper (oh and did I mention they are always in my pantry since Eric has a slight sunflower snacking addiction, which you didn’t hear from me!). Simple and classic. Easy and more affordable than store bought pesto (plus tastier). Place all the ingredients in food processor and blend until almost smooth.